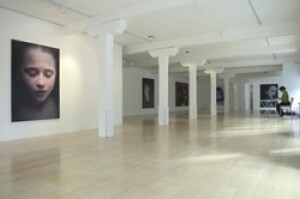 Born in Austria (1948), Helnwein now lives between Ireland and the USA and has exhibited extensively throughout Europe and the U.S. In an internationally acclaimed career, which has spanned over 30 years, Helnwein has produced work in a range of media including painting, drawing, photography, performance, large-scale public installations, set design and film. Well known for his provocative imagery, Helnwein's earlier work referenced Nazi Europe. Major exhibitions of Helnwein's work have been held worldwide, most recently at the Lentos Museum of Modern Art, Linz and at The Fine Arts Museum of San Francisco. Major international artist Gottfried Helnwein will present his first Irish commercial exhibition at the Fenton Gallery this September. In this exhibition, entitled Modern Sleep, Helnwein presents us with a series of paintings based on the theme of the child - a theme which has been central to his practice throughout his career. His characteristic presentation of the child with downcast closed eyes is compelling. Previous solo exhibitions have included shows at The State Russian Museum in St.Petersburg, The San Francisco Museum of Modern Art, Los Angeles County Museum of Art, National Art Museum in Beijing and an exhibition of his landscape paintings at Crawford Municipal Gallery, Cork in 2004. His work is included in major collections worldwide.